● You can find year-round sales on The Limited. Its Sale category provides discounts of up to 80% off on markdowns. 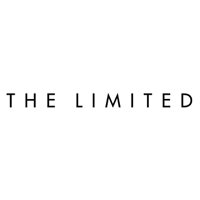 ● The Limited also features promo codes that lets you have up to 40% off on your purchase. These promo codes often exclude certain items and styles, so it’s best to check each item’s description thoroughly. ● By getting The Limited Cards, you get exclusive savings and rewards. The more you shop the more rewards you get, like getting a $15 coupon for every 300 points you earn with The Limited Classic Card. Women that need trendy, comfortable, and fashion-appropriate clothing for weekends out with the family or days at work can browse through the inventory from The Limited. They are known for their high fashion work wear and casual clothing. On the website you can take a look at clothes for petite women, tall women, and regular sizes. They also have the Luxe collection, lounge collection, and the regular pieces that they offer throughout the year. If you need fashion inspiration, the “Top Looks” page shows you various items paired together. You can also take a look at the “New Arrivals” page to see if there are any products that have been recently added to the site. For most up to date offers check out The Limited on Facebook and Twitter or contact The Limited Support for any questions.